Tyres are one of the basic-most components of any automobile but they are also often the most neglected when it comes to maintenance and one that basically has a lot to do with everything that is expected from a motorcycle – mileage, performance, handling, stability and so on. Apart from the brands that define them in all the fancy commercials seen, the proper definition would be something like this – a tyre is a complex composite structure which is assembled with various materials with a high grade of accuracy to achieve the most required perfection levels. Tread: Basically the outermost part of the tire that can be seen by the bare naked eye. The profile and the rubber that a particular tyre is composed of are primarily based on the tyre usage it would be subjected to. In general, to understand the basics of tyre compound – with a tyre composed of hard compound rubber, the mileage increases with reduction in grip. A soft compound tyre on the other hand would provide immense grip bringing the overall mileage down as it tends to be sticky on the tarmac. For better understanding – Duke 390’s Metzelers offer phenomenal grip but they give up in 10,000 to 20,000 kms. Whereas I have ridden many motorcycles which (come with regular tyres) have done over 40,000 kms with ease! In short -Broadly speaking, tyre grip is inversely proportional to its life. Ply/ Carcass: The Ply also known as Carcass is the base of the whole system that gives the tyre its form and shape. The ply is generally composed of Nylon, Rayon or Polyester. The Main function that Ply has is to provide a flexible driving force that spreads out from the bead to the Tread. 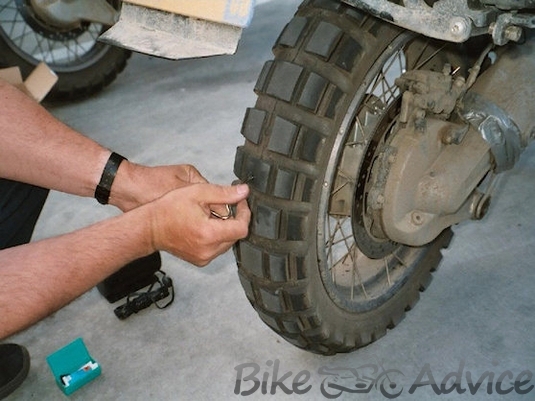 Bead: The Bead is nothing but the component that is on the tyre with which the rim fits in. In other words it is the component by which the tyre is fitted on to the rim. The bead is reinforced by steel cores sandwiched with rubber on top. 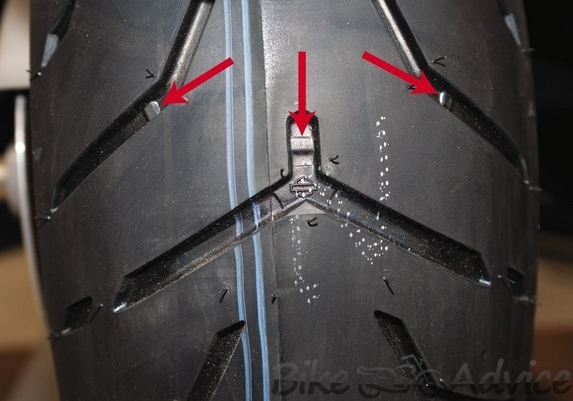 The main purpose of the bead is to mechanically connect the tyre to the rim and ensure there is no leakage or loss of inflation and pressure. 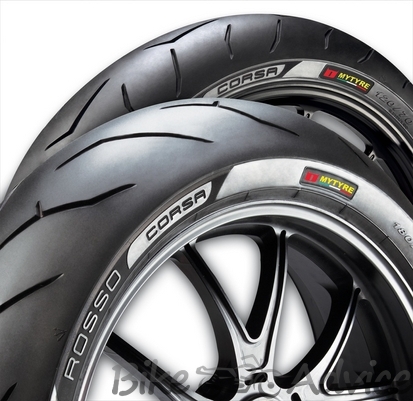 Most of us completely forget the fact that Tyre is the only point of contact between the bike and the tarmac that performs multiple tasks such as steering, load carrying, shock absorbing, rolling, transmitting mechanical inputs and finally wearing out evenly. Steering: A good tyre fitted onto a motorcycle must steer predictably, irrespective of the road and weather conditions it is put through. A good tyre should transmit the steering inputs without drifting off from the intended line. 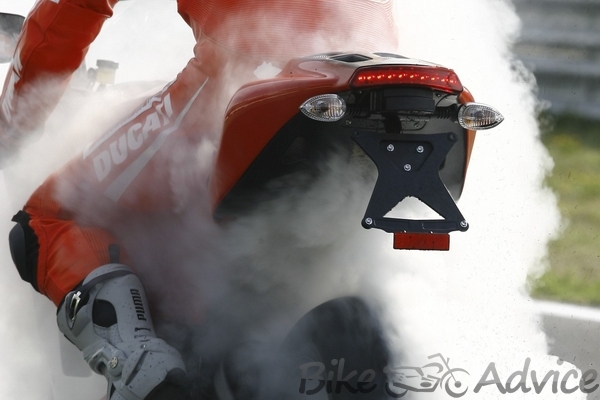 Every manufacturer recommends a specific inflation pressure level according to the motorcycle. Maintaining the factory recommended pressure on both the Front and Rear tyre helps in better precision controlled steering and stability, basically an optimum of everything! Load carrying Capacity: The basic function of a tyre is to support the load of the bike and the passengers when loaded onto the tyres. Load measurements are printed on all tyres and exceeding the rated capacity would be fatal and will disrupt the handling and stability of the bike. Shock Absorbing: The basic shock absorber that functions primarily even before the actual suspension of the bike – is tyres. 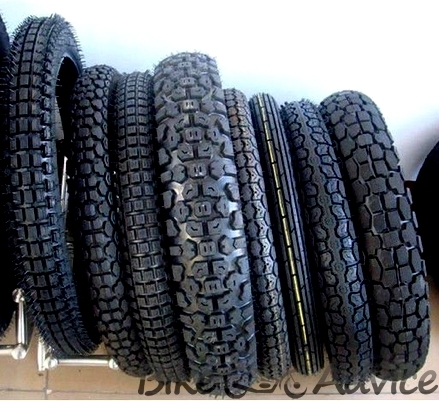 A typical tyre rolls over a variety of obstacles everyday from a clean laid out tarmac to sand dunes, pebbles etc ensuring rider and passenger’s comfort as well as protection of the bike. Rolling Efficiency: Good tyres should roll smoothly without any irregularities offering a minimal rolling resistance which gives control over the vehicle over steady wear and tear. 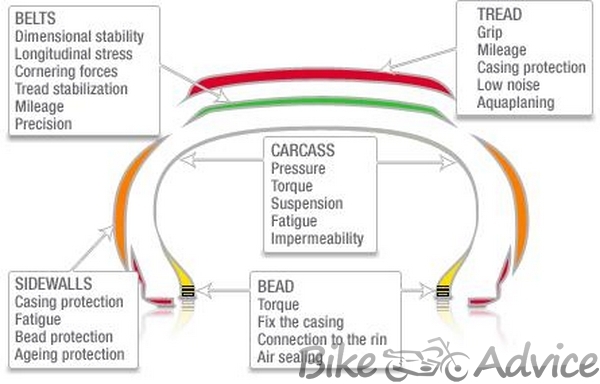 Transmitting Mechanical Inputs: Tyres transmit the bikes mechanical outputs, in terms of horsepower to surge ahead and braking to stop the vehicle when needed. The contact patch on the tyre is what carries out the same and can make a huge difference in a bikes behaviour and performance. Wear and Tear: Tyres are expected to perform on a considerable level of dependency throughout its lifetime. 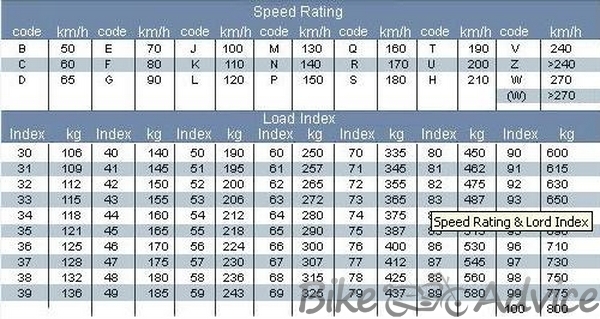 Although the tyre wear depends on various factors like carrying load, speed, road conditions, riding style and so on. Care must be taken not to put too much stress on them as that will reduce their life. Read on.. there is an example after the following few lines to make these numbers clear. Also seen on the side wall of a tyre, the code generally comprises of three characters – two numbers and a letter. Take 67H for example, the two digit number is the code for maximum load carrying capacity of the tyre. The Alphabet following the number is the maximum speed rating the tyre can be subjected to with maximum load and maximum listed inflation pressure for safe riding. 140 – Section width of the tyre measured in mm. This is the tyre width and the part that touches the tarmac. In this case it is 140 mm. 80 – Aspect Ratio (80%) usually the section height divided by section width as a percentage. In simpler terms the wall size in percentage. In our example it will be 80% of 140 which is equal to 112 mm. H – Speed Rating. This tyre is safe for speeds of upto 210 km/h. 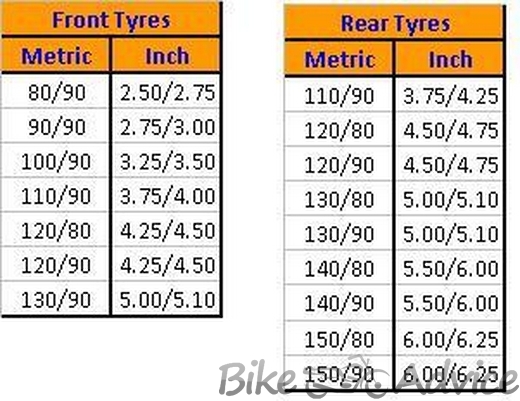 Tyre Selection: The choice of the tyre is the most critical that involves a lot of factors that affect your bike’s motoring capabilities. Try to adhere to the manufacturer recommended tyre specs most of the times, specially when you do not have a vast understanding of it. The choice of the tyre that does not conform to the factory OE specifications for any bike should be validated by a tyre expert and no trial and error decisions should be made. 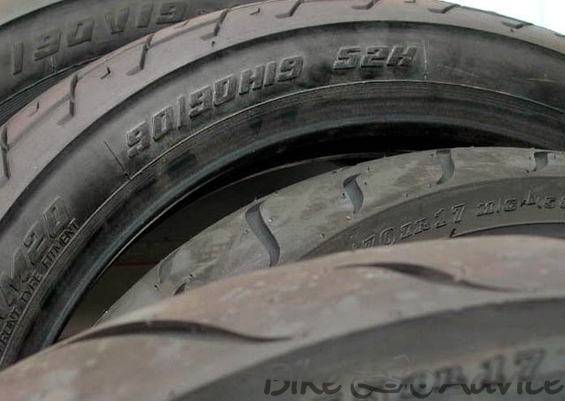 Tyre Inspection: All tyres are to be subjected to a regular inspection for irregular wear patterns, cuts, bloats and cracks on the side walls which, if ignored, can prove to be fatal at a later stage. An over loaded tyre exceeding the tyre’s capacity or an under inflated tyre that is being ridden for a prolonged period can cause serious damage to the contact patch and even the tyre wall which not only brings down the life of the tyre but can be a fatal miss. Tyre Wear: The primary function of a tyre tread or a tyre contact patch is to stick to the road firmly. As the tyre wear progresses with usage, the ability of the tread to evacuate water deteriorates. To make life easier there is a visual mark that is available on the tyres known as TWI (Tyre Wear Indicator) that can diagnose the tyre wear and recommend for the next pair. The TWI is nothing but a small raised area at the bottom of the grooves of the tread pattern. 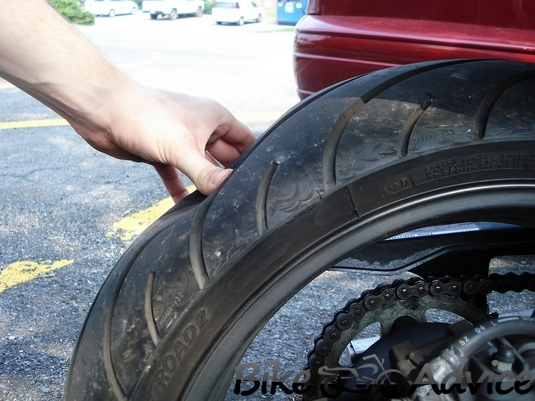 If the surface of the rubber is seen at the level of the TWI marker, it most likely indicates that the tyre is due for a replacement. Inflation: Maintaining correct Inflation pressure as recommended by the manufacturer will have a positive impact on the bike’s handling characteristics and increasing tyre life. Riding on an underinflated tyre can cause premature wear and a irreversible damage that looses out the inflated air gradually. Therefore it is essential to check tyre pressure atleast once in every 15 days when tyres are cold. Inflating tyre when it’s Hot can lead to rise in Pressure bar level showing wrong values. 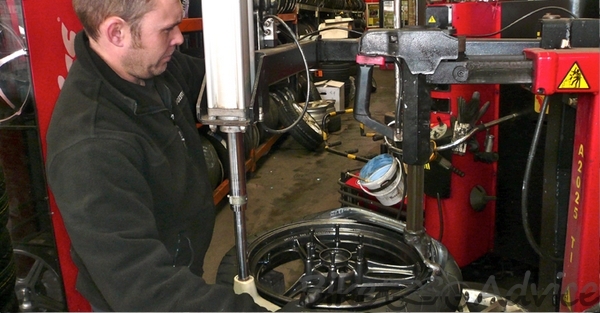 Mounting/ balancing/ DeMounting: The mounting and balancing of new tyres should always be taken up by a professional technician. When handled improperly by a poorly skilled guy it can damage the tyre and could even lead to an accident! Also care should be taken to see if the new tyre complies or exceeds the company recommendations so as to avoid future complications. Tyre Repairs: In an event of a Puncture or a crack on a side wall, only a professional tyre expert or atleast a person with knowledge in tyres should inspect and conclude if the tyre can be repaired or has to be replaced in case of a major issue. Generally, punctures to the wall are rare but in most of the cases they are irrepairable. Tyre Break-In: As we all know every Bike requires a Break-in to run properly for first 1000 kms or so as recommended by the manufacturer. It Break-in process also applies to new Tyres. After installing new Tyres the motorcycle should be ridden sanely at moderate speed and cornering and panic braking should slowly be increased until the tyre settles down and reaches its optimum performance levels. Taking extreme lean angles on fresh tyres is not recommended. Tyre Warm-Up: As every bike needs a warm-up cycle for the first few minutes after a cold start, so does the tyre to reach the optimum operating temperature were the performance of the tyre will be at maximum for that best road grip. Tyre Mixing: Try not to mix tyres that are of different qualities which may hamper handling. Also ensure the tyres are selected for front and rear carefully, no front tyre on the rear can be good and vice versa. 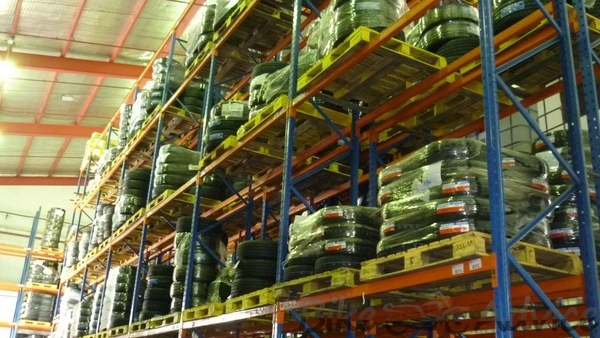 Tyre Storage: If one plans to store tyres over a long time, the storage are must be dry, ventilated, possibly temperature controlled but away from direct sunlight to preserve the quality of rubber. Also keep the storage away from chemicals, solvents or hydrocarbons that can adversely affect the rubber compound. So, the next time someone asks you about tyres, keep your head high and tell them what they aren’t aware of.